While watching the morning news Thursday morning, they mentioned results from a recent Marist College Poll. This particular poll asked people what word/phrase they find most annoying. Perhaps some of you may say "Whatever. . . who really cares?" You can view the results of the poll with an even bigger breakdown by region, education, age, income, and race here. While I was checking out information on the poll, I also found this interesting editorial by John Hopkins in the Tonawanda News. Mr. Hopkins writes about a lot about whatever and his feelings. What word or phrase do you find most annoying and why? Feel free to think of some other ones that bother you, but if it is one mentioned in the Marist Poll please explain. I think it is well, you can do hat if you want – I hate when people say that because what they are saying is that you are wrong but without having the guts to come out and say it – that annoys me. .-= Upstatemomof3´s last blog ..Alarm? =-. There are so very many. At the top would be “my bad”, “whatever”, “as if”, and “get over it”. .-= Jennifer´s last blog ..Permission Slips: A Book Review =-. .-= noelle d´s last blog ..Aloha Friday # 5 =-. “I don’t know” and “I didn’t do it” and “I can’t find it”. all of these come from my teen…….then i find it..she did it and she knew, just won’t think. .-= AuntieE´s last blog ..Aloha Friday -Haunted Houses. =-. Down here the slang word to use is “whenever”. Drives me nuts because it’s never really used in it’s proper content. My kids hate when I correct them but, ugh! Example – Whenever I was in gymnastics I was good. Ugh. Ugly, isn’t it? .-= Sues2u2´s last blog ..Aloha Friday – 9 Oct =-. What drives me nuts is hearing people use I and me incorrectly. What drives my husband nuts is when I correct the folks on TV when they way it wrong. .-= Clara´s last blog ..Aloha Friday =-. The phrase/word that I am not a fan is: Huh? It is not even a real word, it is a grunt. The people that say this need to learn: Excuse me, pardon me, or what did you say? .-= Laufa´s last blog ..Crafty Spin =-. Whatever is pretty annoying especially when it come from a child. It sounds like you are being blown off. What you are saying is not important. I hate the “like” and she was like and then I was like….ugh! During speeches I find the uh, and um is really over done. Oh and I really don’t like “duh!” That one drives me bonkers. .-= Pamela M. Kramer @A Renaissance Woman´s last blog ..Freebie Friday – Week 28 =-. I read about this. I use ‘whatever’ all the time when I don’t want to commit to an answer. I do get annoyed with ‘like’. .-= shelly´s last blog ..Aloha Friday: Are you Ready for Some Football? =-. I find the word “like” annoying. My 17yo son isnt’ so bad for it anymore, but some of his friends – especially the girls – are stuck on repeat with that word. .-= Kimmie´s last blog ..What Is Your Very First Memory? =-. .-= blueviolet´s last blog ..Aloha Friday – Can you fake it? =-. .-= Annie @ Mama Dweeb´s last blog .. =-. Growing up, the word/phrase I wanted to get rid of was “Not!” As in: “That’s a really interesting story… NOT!” Just drove me bonkers. .-= TechyDad´s last blog ..Aloha Friday: Organizing Your DVDs =-. Well, I cannot stand when people say, “I can’t say” about anything – this usually means they brought something up they shouldn’t have and have peaked other people’s interest and are trying to back pedal – or fish for attention! Ugh! .-= Jennifer @ It’s A Beauty Filled Life´s last blog ..Aloha Friday – Desensitization =-. .-= Charlotte (Life’s a Charm! )´s last blog ..Household Chores and Errands =-. I can’t stand “Whatever” and my 6 year old has been saying it. When I was a kid I use to say “you know” all the time. My dad couldn’t stand that and he would always answer me with “no I don’t know”. Enough times with that answer and I stopped saying it. Even today I don’t say it. .-= Nina´s last blog ..LETS TAKE A TRIP =-. Ya Know? So many phrases like this that kids use today just show how dumb they are instead of sounding cool. .-= Thom´s last blog ..Award Time =-. .-= East Coast Wahine´s last blog ..Hawaiian Culture Weekend =-. when i was a kid, my overbearing father would always say, “i beg to differ with you.” i hated that statement. to this day, i cringe when i hear that phrase. .-= diana/sunshine´s last blog ..can i quote you? =-. 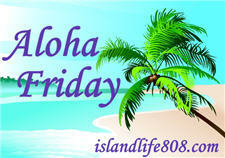 .-= 1stopmom´s last blog ..Aloha Friday =-. ‘don’t care’ Please tell me you have a better opinion than don’t care. .-= JamericanSpice´s last blog ..I did a wonderful thing :) =-. I’m definitely guilty of “whatever.” And my husband is a big “it is what it is” fan. That saying doesn’t make much sense to me…. Now that’s an interesting poll—LOL! Around my region we absolutely say “you know” far too much than we should and yet the most annoying saying for me is “get over it”. Now that one just bugs me to no end!